Spawned from the “My Famicase” shows in Japan, famiCART! is an art exhibition featuring video game artwork created for imaginary Nintendo (NES) and Famicom titles. famiCART! is the brainchild of Alana Dunitz the Retro Gamer Girl and Nathan White of Video Games Are Rad fame. They’re accepting submissions through September 21, 2012, and will feature pieces on their website(s) and will be displaying them in an actual physical art exhibition. 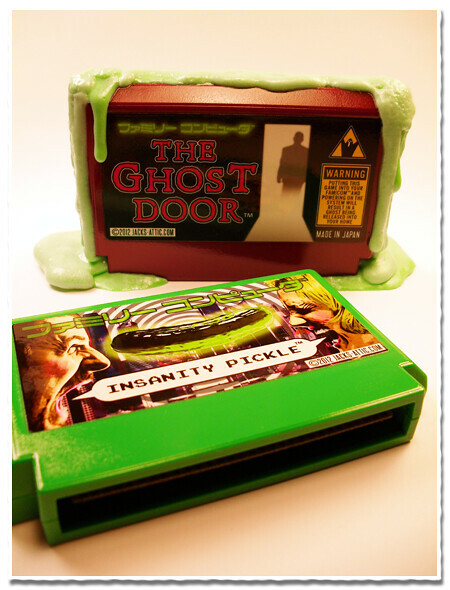 Below are my two entries: The Ghost Door and Insanity Pickle. 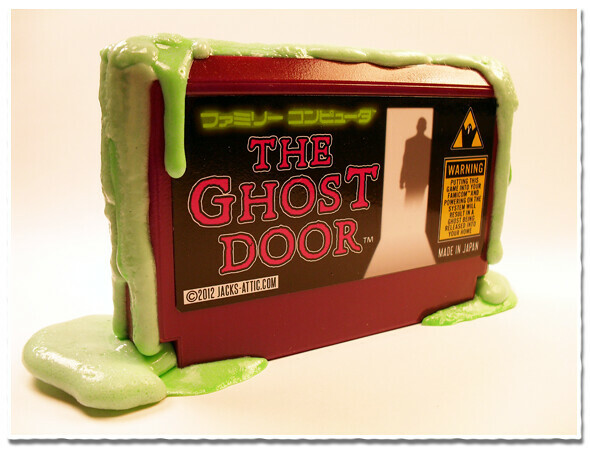 The Ghost Door is opening! Have you ever wanted to live in a haunted house? Now you finally can! 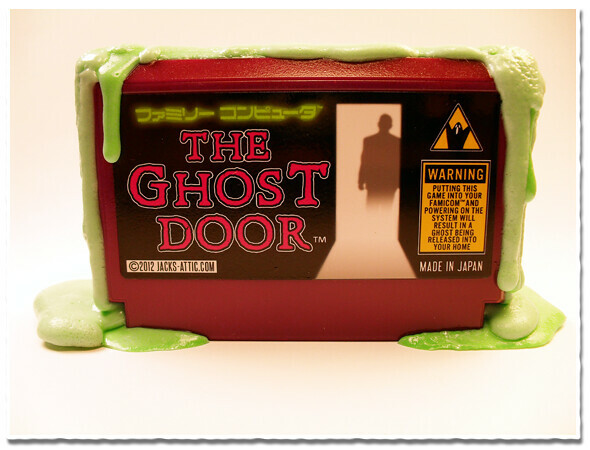 Once The Ghost Door cartridge is placed into your Famicom game system and the power switch is activated, an ethereal doorway is opened inside your home. Simultaneously, a low frequency beacon is sent into the spirit world which attracts specters. 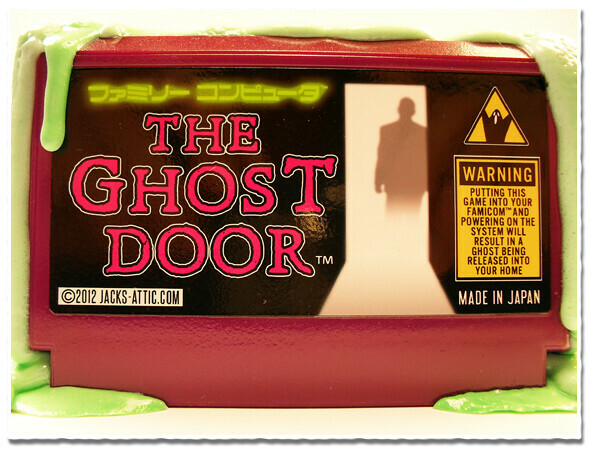 After a ghost has crossed the threshold into your home, the doorway collapses, preventing any further spirits from entering into this world. Due to the arbitrary nature of this game the disposition and demeanor of the conjured spirit is completely random. 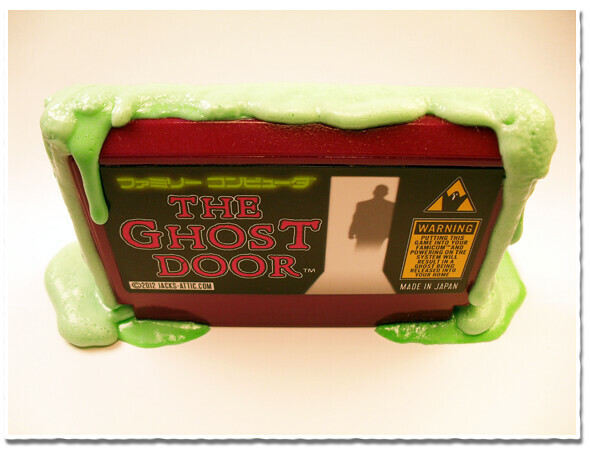 Please see the section “What To Do If My Summoned Ghost is Evil” on page 13 of the instruction manual for a full list of precautionary tactics and safety measures. 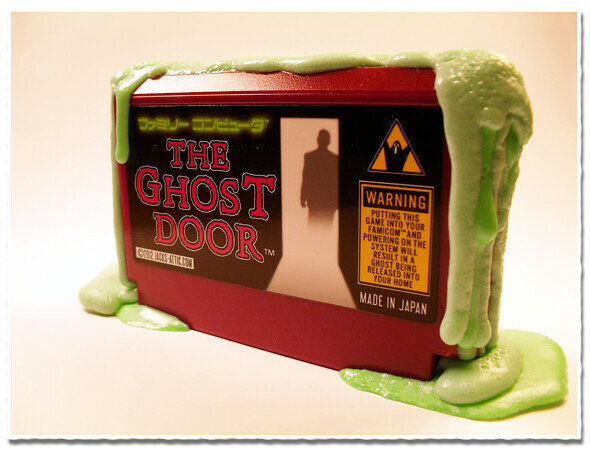 Be advised that during game play ectoplasm may begin leaking from the cartridge and/or Famicom system. Soap and hot water is usually sufficient in cleaning the gaming area. 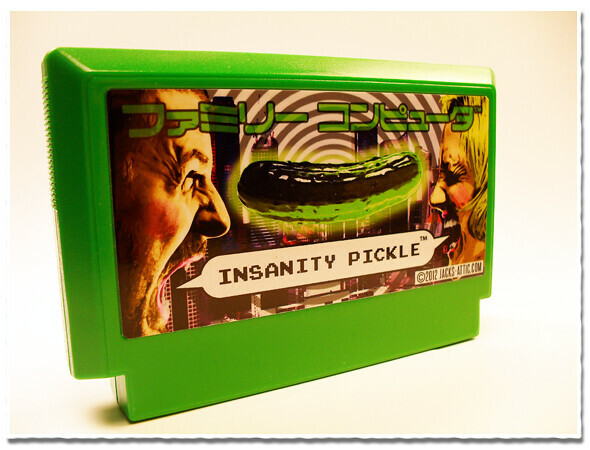 Can you destroy the Insanity Pickle! On the morning of October 13, 20XX, an unidentified signal from a passing asteroid was beamed to Earth. 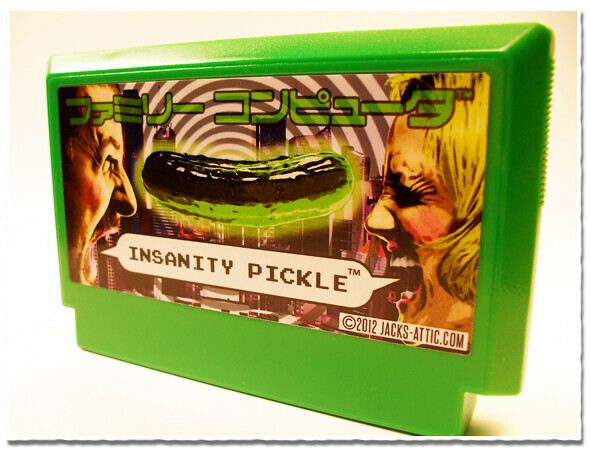 This signal was decoded and heralded the coming of the Insanity Pickle, a malevolent entity bent on the total annihilation of the human race. Two days later a second beam was shot to Earth. This beam caused 98% of the world’s population to become mindless, violent automatons. 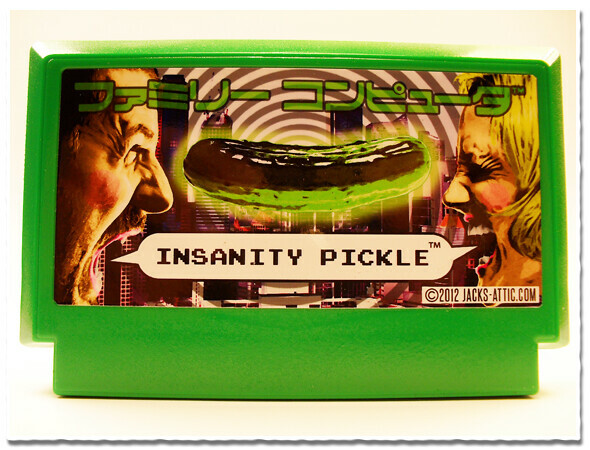 As Dr. Joseph Quinn you must race against time as your own mind succumbs to the evil machinations of the Insanity Pickle all the while avoiding the ravenous, beastly hordes that prowl the city streets in search of prey.